Residential energy efficiency programs striving to improve conversion rates from customer interest to completed upgrades have realized that contractors are typically the primary link between customers and their programs. 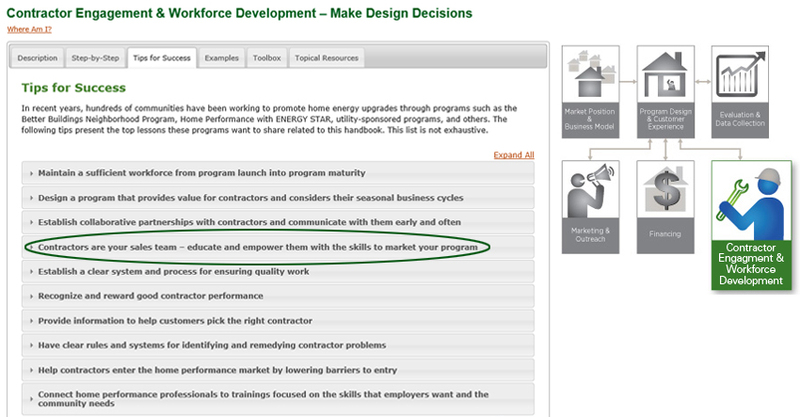 Many successful programs have empowered contractors to promote program services through sales training and co-marketing. A comprehensive evaluation of over 140 programs across the United States found that successful programs have contractors who are skilled at helping customers understand the benefits of home energy improvements. The evaluation found that many successful programs increased contractors’ sales effectiveness by offering sales training, leveraging the contractor’s pivotal role in the upgrade sale. Efficiency Maine boosted conversion rates by offering free sales training courses that helped contractors improve their skills in selling program offerings. After conducting a two-day sales training course for contractors (which coincided with new financial incentives and a filing deadline), Efficiency Maine’s average monthly rate of energy upgrade conversions increased from 10% to 60% in a few months. Through monthly webinars, the program also helped contractors communicate with customers more effectively about program options. Connecticut’s Neighbor to Neighbor Energy Challenge saw improvement in its upgrade rates after creating marketing tools for contractors and hiring energy advisers to help contractors move customers through the process from assessment to upgrade. Analysis showed that contractors benefited from the marketing tools and valued the advisers and staff who provided small business support and development assistance such as sales training, sales process development, data management, and data analyses. The program also required contractors to agree to a defined sales process as one of the conditions for program participation. 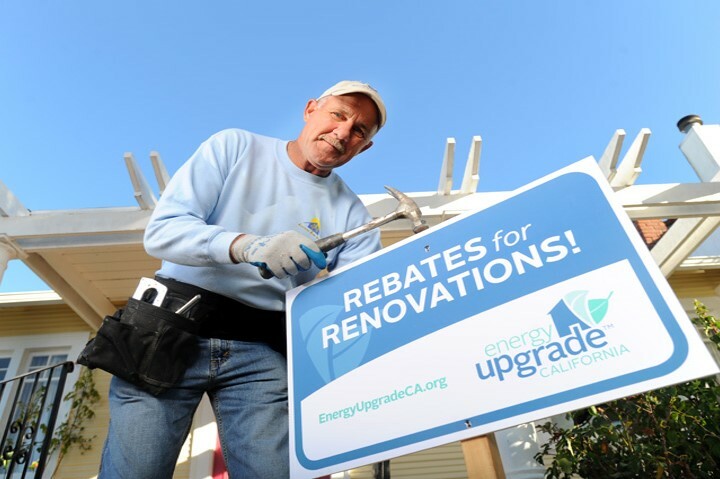 Having learned that contractors often do not have the time or experience to create their own marketing tools, Energy Upgrade California developed an online resource center with customizable marketing kits for contractors in Los Angeles County. The program established an on-demand print center that contractors could use to print and deliver marketing materials. These materials helped contractors increase their visibility, helped homeowners find qualified contractors, and helped the program ensure consistent messaging. Frequent networking events for contractors also provided training on specific aspects of marketing. Discover more lessons learned on contractor sales and marketing support by visiting the Better Buildings Residential Program Solution Center Contractor Engagement & Workforce Development – Make Design Decisions handbook for step-by-step guidance and program examples.